The Alltec Screens Fixed Frame Screen is one the best choices for Home Theater, thanks to its high performance matte white fabric and it’s outstanding optical performance. 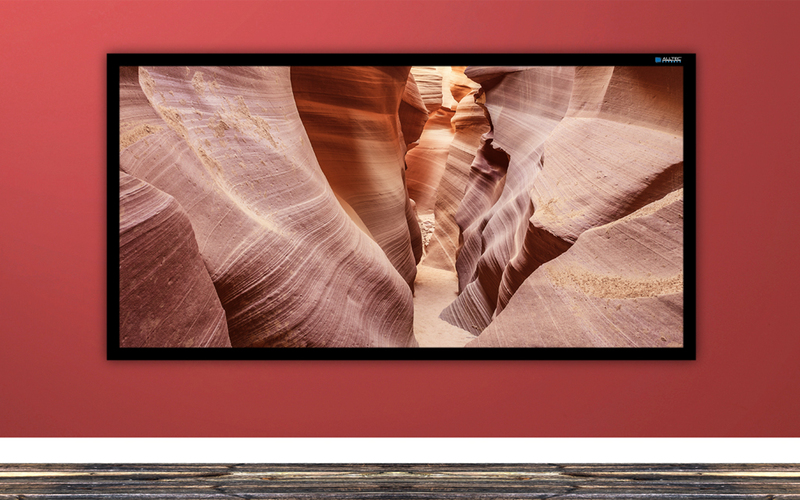 The fixed frame screen also complements any situation where a permanent wall-mounted solution is preferred – such as an auditorium, conference room, or in a house of worship. 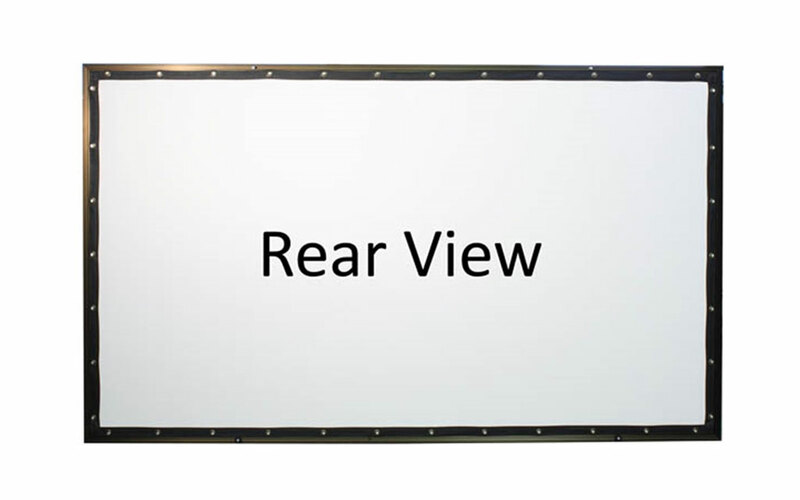 Fixed Frame Projector screens generally require more assembly than other screen types, however they are more easily wall-mounted(simply hanging like a picture frame on the included brackets), requiring less installation and no electrical connectivity. 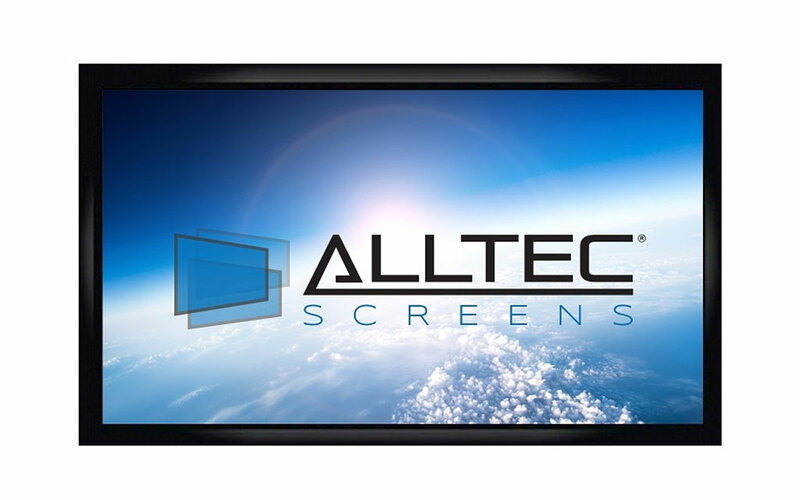 The Alltec Screens Fixed Frame projection screen was designed to re-create the ultimate cinematic experience, in any setting. This screen features a black faux-velvet trim over a lightweight anodized aluminum frame to absorb any excess projector light. The tensioned surface provides a perfectly flat surface to optimize the resolution and image quality of your HD and next-generation 4k capable projectors. Product assembly is quick and easy with precisely made parts and a simple construction process to follow. Wall brackets come included for easy hanging and positioning on the wall, just like a picture frame or painting. 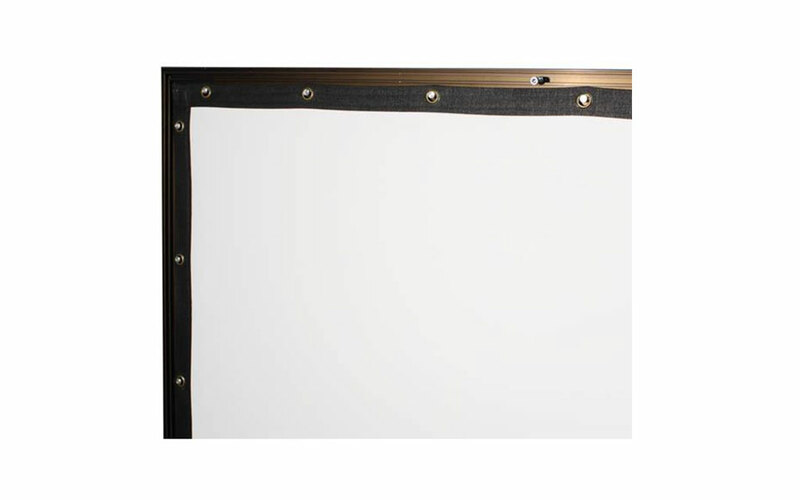 All fixed frame screens feature split horizontal frame sections for easier shipping and handling.